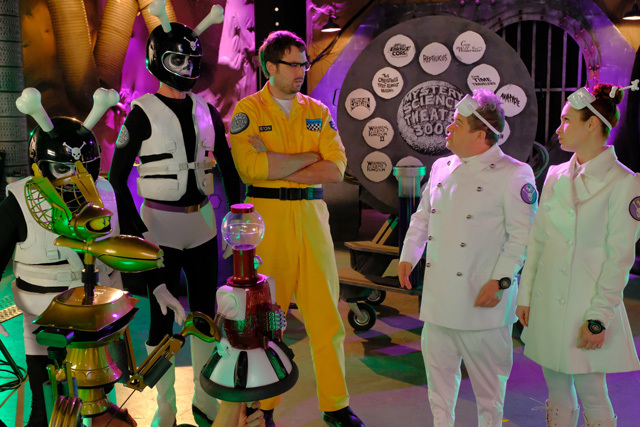 On Thanksgiving Day Netflix released Mystery Science Theater 3000: The Gauntlet, the 12th season of MST3K where Jonah and the bots have to endure six terrible B-movies back-to-back. 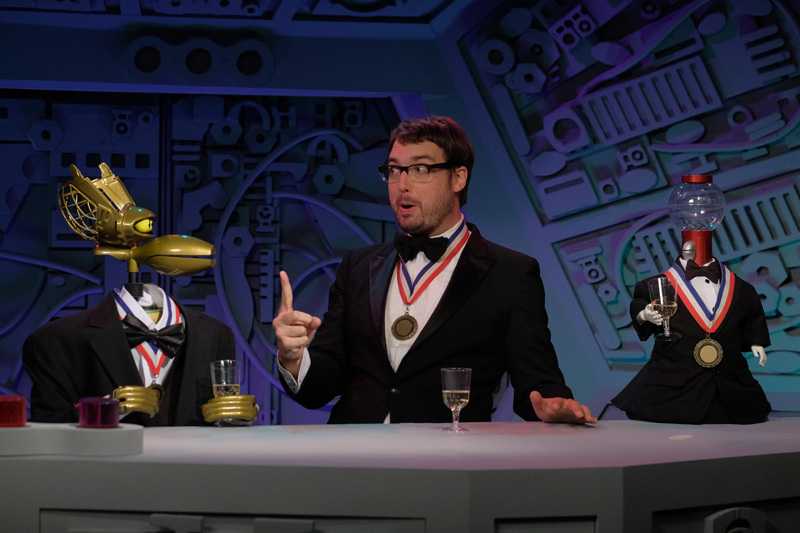 When we chatted with series creator Joel Hodgson and current host Jonah Ray about the new season, they explained why they decided to change format from 14 episodes to just 6, and adding in a season arc that carries through all 6 episodes. Another growing pain involved the return of J. Elvis Weinstein, who back in 1988 originated the roles of Tom Servo and Gypsy on Mystery Science Theater 3000, as well as the mad scientist role of Dr. Laurence Erhardt. While Weinstein happily returned this season for an extended cameo, the intention was for more of the original crew to come back. 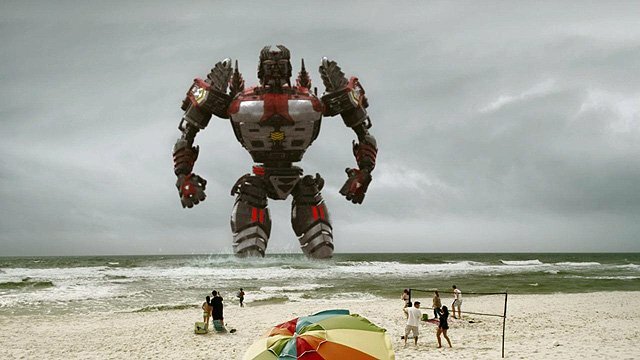 Season 12 also allowed Jonah & Co. the chance to riff on a more contemporary movie with Atlantic Rim, a 2013 Pacific Rim knockoff from infamous production company The Asylum. 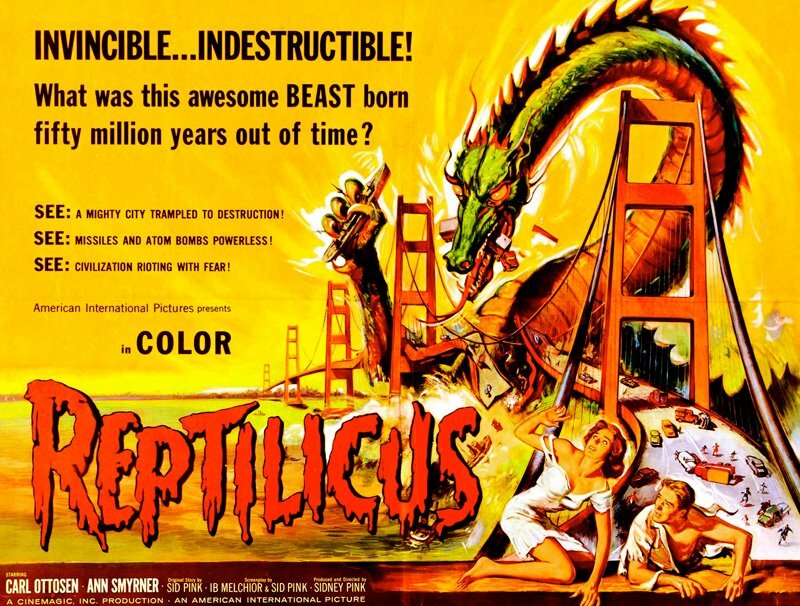 This newer film presented challenged some of the older B-movies did not. A lot of the drive-in movies made in the 50s and 60s and 70s that have been MST3K fodder have an earnestness to them, whereas The Asylum has made their reputation on movies that are self-consciously cheesy. Thus, Hodgson and his team had to review many Asylum offerings before landing on Atlantic Rim. While Atlantic Rim posed new challenges, they were able to dive back into the show’s past with Ator, the Fighting Eagle, a 1982 Italian sword and sorcery film that is part of the series that also spawned Cave Dwellers, one of the most beloved episodes from the original run of MST3K. Ray also got the chance to riff on the notorious McDonald’s-sponsored 1989 E.T. ripoff Mac and Me, and when we asked him if he could find anything redeeming about it after viewing it so many times he was quite blunt. 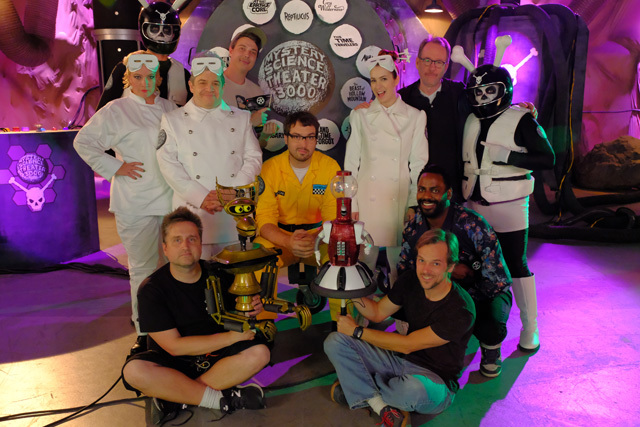 Mystery Science Theater 3000: The Gauntlet ends its season with Jonah’s torturers Kinga Forrester (Felicia Day) and Max (Patton Oswalt) trapped in the theater, forced to riff on bad movies. We asked Hodgson if this will be explored more in a third Netflix season of the show. 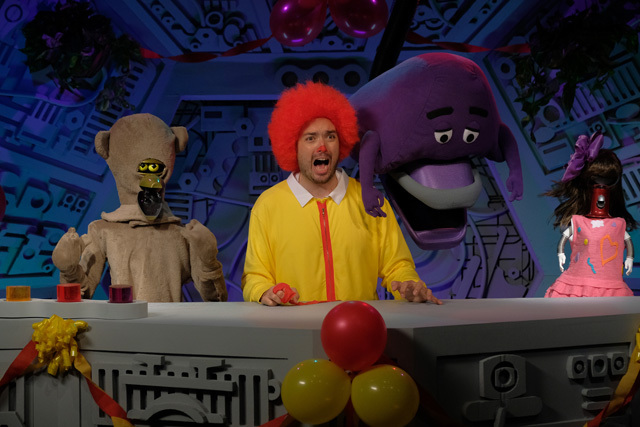 This year’s Mystery Science Theater 3000: The Gauntlet riffs on six classic movies, including 1979’s Killer Fish, 1980’s The Day Time Ended, 1989’s Lords of the Deep, 2013’s Pacific Rim knockoff Atlantic Rim, the McDonald’s-sponsored E.T. ripoff Mac and Me and 1982’s Ator, the Fighting Eagle (another in the film series that also included MST3K classic Cave Dwellers!). In keeping with the binge-watching model of Netflix, all six episodes are part of one long story arc in which Jonah and the bots have to endure all six movies back-to-back.